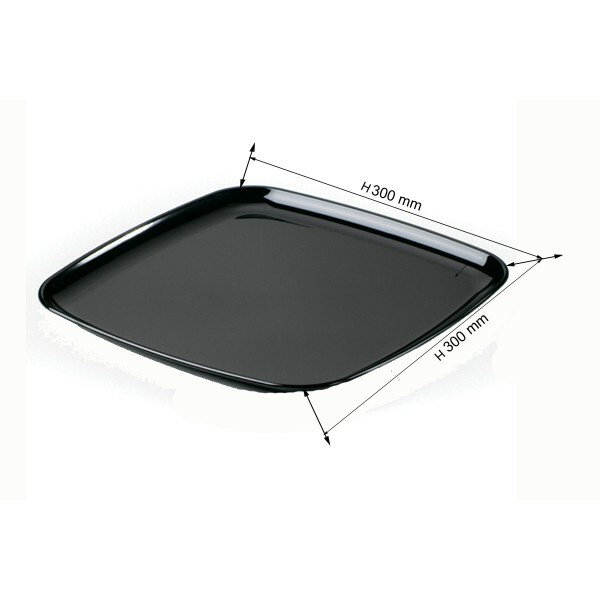 The hard plastic food trays are disposable black square trays. These square trays are elegant disposable hard plastic platters. The disposable square trays are from Polystyrene. The hard plastic trays are used at home, in offices, in waiting rooms, in cafés, in restaurants, at a party, at a picnic, on a plane, in retirement homes, on vacation ... These disposable square hard plastic food trays are so handy that they can be used everywhere. 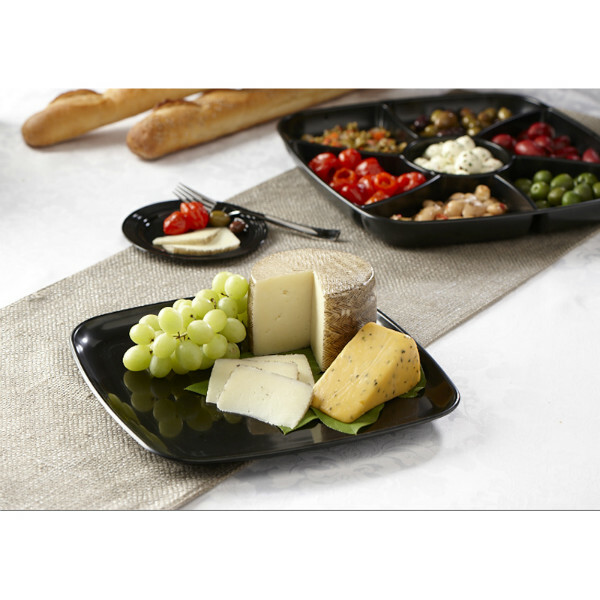 The black square hard plastic platters are used to serve the aperitif, hors d'oeuvres, the meal, deli meats, cheeses, sandwiches or the dessert nicely. These hard plastic plates are more resistant to crushing and cracking. These trays can be stored with other dishes. 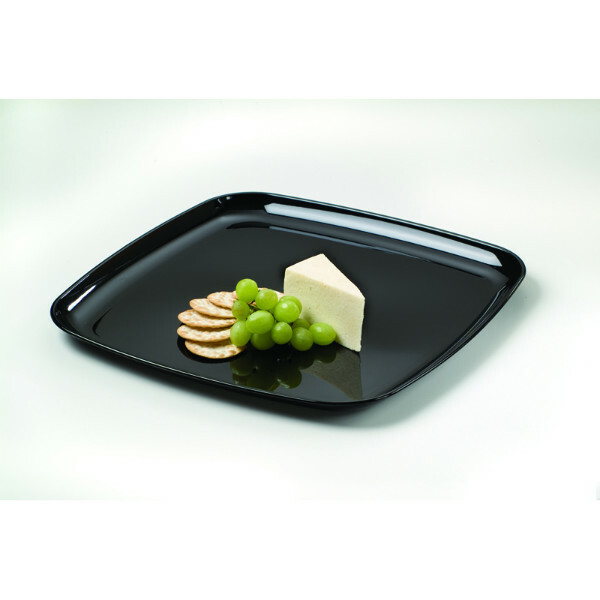 These beautiful trays give a more elegant appearance to your dishes. 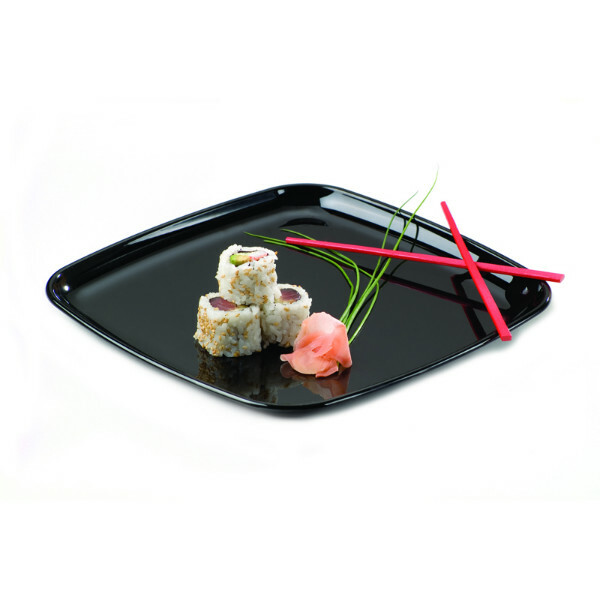 The square black hard plastic platters come per square tray. The hard plastic square trays are also available in other dimensions.